There is gobs of head post-pour on this one, and it lumps up as it lowers, making it almost look like tan-coloured sea foam. It smooths out as it lowers further.The beer is quite dark, and lets next to no light through it at all. There is not much lacing that sticks around. The smell is initially very sweet, and more roasted notes come through it as it warms. It's like a mix of dark fruitcake, figs, maybe some coffee, and something somewhat dark rum-like. The flavour is pretty nice on this one - big roasted notes (coffee and dark chocolate), sweet, dark fruits... that sweetness also plays around a bit like a milk stout. It starts making me think it's an oatmeal stout partway through. Smooth, sweet, roasted / burnt, a bit earthy from the hops... several nice things going on here, all in a nice balance. The feel is lighter / thinner than I thought it would be. It's got a smooth feel, but it's nearly on the watery side. The carb is a bit tingly for my liking in this kind of beer, but it's OK. The finish is slightly bitter and a little sticky. 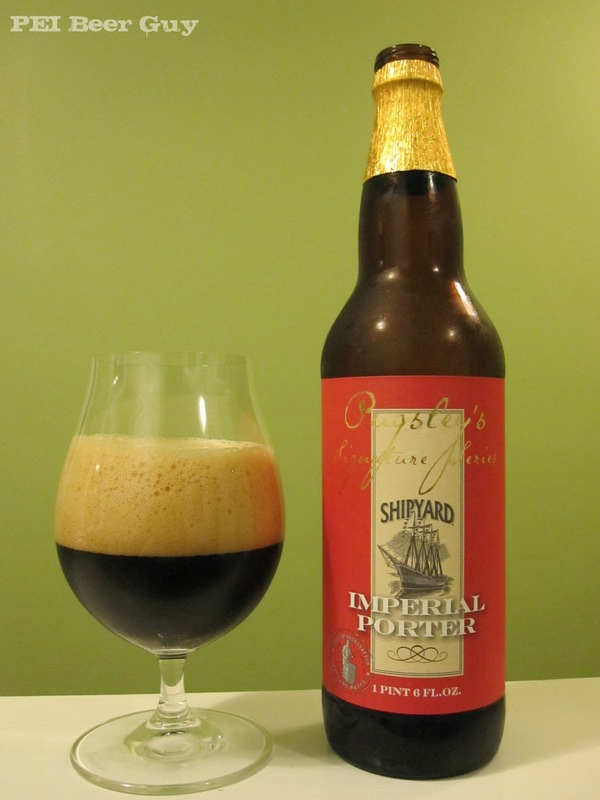 Not sure how many Maine breweries you've had the pleasure of trying, but once you get into a lot of them you'll probably find that Shipyard is usually considered to be one of the lower-quality ones. I've had a couple of the Pugsley Series' beers (like this Porter) and enjoyed them, but most of their beers are pretty bland compared to so many other beers from other breweries in Maine.